Puma MX 1600/735 series is designed for machining small and complex work pieces such as parts often used in Medical industry, complete in a single set up. The machine length is reduced by 500mm from the original PUMA MX 1600 series. Customers have the flexibility to select between two different turret options. They can select 8 station turret (turning only) or 16 station turret ( with milling capability) depending on the type of work. 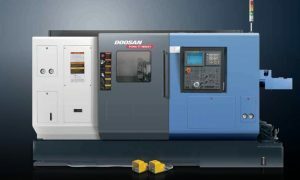 1.Compact turn mill multi tasking machine with 6” chuck: Puma MX 1600/735 is designed to have the most compact footprint in its class with 3300mm (129.9 inch) machine length and this gives users flexibility to configure different lines within compact factory layout. 2. 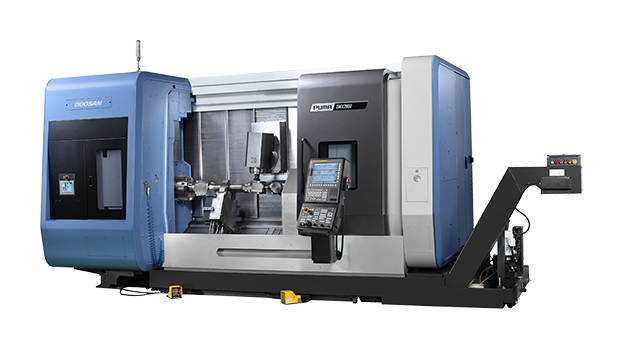 Powerfull 6” chuck turn mill multi tasking machine: PUMA MX1600/735 features a rigid slant bed structure which is ideal for heavy duty turning with the lower turret. 3. 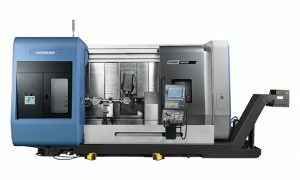 Two variation of lower turret: PUMA MX 1600/735 series offers two different lower turret options, where users can select between 8 station turret ( turning only) and 16 station turret (with milling) to meet their machining needs.